I liked the villains in Castlevania (Season 2). They were far more interesting and relatable than the heroes Trevor, Sypha, and Alucard. I even think they got more screen time than the good guys did. To be clear, I liked Dracula, Isaac, Hector, Godbrand, and possibly even Carmilla (as backstabbing as she was). I didn’t like the members of the church, Dracula’s other generals, or any of the people from Isaac’s past (besides Dracula). And that’s what makes Castlevania really interesting to me. They’re able to make me cheer for bloodsucking murderers and conjurers of the undead while making me despise the conservative leaders of the community. Talk about mixed emotions! Dracula was a man of science. He was an intelligent, loving husband and father who became cosmopolitan (worldly) later in life. He and I grew mad when the church murdered his wife. From Season 1 to Season 2, we wanted to destroy all who had a part in his wife’s death. Hector was the first of Dracula’s generals we got to know. 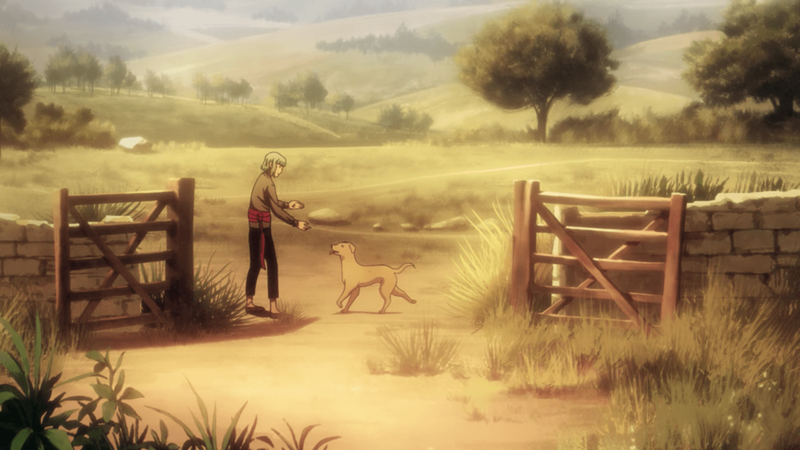 He was a boy who brought a puppy back to life, and later, a boy-in-a-man’s-body who brought a demon-thing back to life. He followed Dracula’s plan to cull humanity (much like Thanos believed in Avengers: Infinity War), hoping for a swift, merciful end without suffering. Hector was a child at heart. Often gullible and naive, Carmilla was able to manipulate him. I didn’t hate Hector for his simplicity; I pitied him. Isaac was Dracula’s other general. At first, I thought Hector was Dracula’s right hand — his confidant — but I soon realized Hector was Dracula’s best friend. In a way, Isaac was Dracula’s only friend. Isaac was loyal to Dracula in a way no one else was. He would give his life for Dracula, and probably return in death to help his friend. He also loved Dracula indiscriminately. He told Dracula that it was unnecessary for Dracula to share his most private thoughts or plans with Isaac for him to still be his friend and follower. Have I ever seen a more loyal friend than Isaac?! Maybe not. Isaac’s flashback to his childhood and the epilogue of Season 2 also made me fan of his. I’ll say it here and now: Isaac is the best character of Castlevania. Godbrand and Carmilla were disloyal to Dracula, but I can justify both of their actions. Much as Hector was persuaded to follow Carmilla, Godbrand was just another pawn of hers. Both men sought to do what was best for Dracula according to their own beliefs, when they thought Dracula was unable to make good decisions for himself. Godbrand feared that Dracula’s choices would lead to the extermination of all vampires (of which Godbrand was one). Godbrand was funny, and just concerned about living his life (or should I say “death”) to the fullest. In his eyes, man was a food source, and the storytelling didn’t allow me to blame him for that. I’ll miss him. Carmilla was devious. Of all of the “bad guys who you can see as good”, she was the most difficult to like. But I still kinda liked her. Again, I could justify her actions. Carmilla lived under the rule of a senile vampire before, and she admitted she wasn’t about to live through that again. She clawed her way to power using whatever means were available to her, and almost accomplished her goals. I don’t fault her for the way she betrayed Dracula, because Dracula’s goals weren’t to fulfill the needs of vampire society — only his own. If you think Carmilla was selfish, don’t overlook Dracula’s selfishness. Yes, Dracula sought vengeance! But vengeance seems like a petty want when compared to someone else’s need for survival. The only thing I hated Carmilla for was how she treated Hector. In all, I absolutely loved the way this season of Castlevania was written. It’s rare to empathize with a villain, let alone many of them, yet this is the way I feel about the villains of Castlevania (Season 2). I liked them much more than the heroes of the series and regret that I don’t feel the same way about the good guys (Trevor, Sypha, and Alucard), considering they “won” in the end. Have you ever watched a show with a bad ending where the good guys don’t win? Yeah? That’s kind of how I feel right now. Nov 9 Tower Talk #25: Masterwork Armor Explained, Season 4 Coming to an End, & Loot Drops Galore!